Some people seem to be genetically blessed with beautifully clear, glowing skin. The rest of us struggle to figure out what to do, or not do, to get that healthy look for ourselves. We would like to offer some easy, inexpensive steps that you could start taking today. We will take a look at some of the foods that you should incorporate in your salads to create healthy meals which will boost the health of your skin. 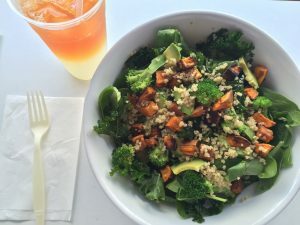 After learning about the benefits of these foods, come visit us at Greenspot Salad Company in San Diego, where we serve delicious, healthy, unprocessed meals everyday. Lettuce isn’t just for rabbits! There are many benefits for your health in these delicious greens, so let’s dive in and take a look. Lettuce is a great source of vitamin A which has antioxidant properties for maintaining healthy skin. It contains a lot of calcium which helps promote strong bones. This is also great to keep in mind for any of you that have lactose allergies or intolerance. Lettuce also has a high quantity of fiber which helps provide that sensation of being full without spiking your insulin like candy bars and other sugary foods. Last, but not least, dark, leafy greens are the best way to promote a healthy balance between the acids and bases in your body which is incredibly important for healthy skin. Who doesn’t love avocados, right? They are the heart and soul of any good dish of guacamole, but they are also a great food to add to your salad. You have probably heard that you should include healthy fats in your diet. Avocados are an excellent source for these healthy fats. They are also filled with antioxidants like lutein and beta-carotene which help to soften your skin and keep it looking soft and supple. Not only could you cut up an avocado and break it over your salad, you could also blend it with other foods, including orange juice and garlic, to create a wonderfully healthy dressing for your salad. 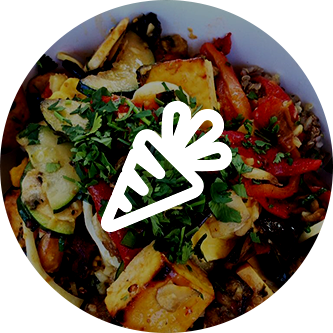 Would you prefer to have someone prepare a deliciously healthy meal for you? 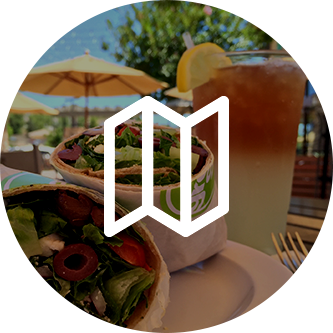 Visit one of Greenspot Salad Company’s locations and let us “wow” your tastebuds! Cucumbers provide your body with the skin-friendly minerals potassium, magnesium, and silicon. Potassium helps to regulate the amount of water in your body’s cells, which helps your skin maintain the hydration it needs for good health. Magnesium is essential for skin health, bones, teeth, and hair. A deficiency in magnesium can actually accelerate the aging of your skin! Silicon combines with oxygen to form silica which is critical in helping our bodies have glowing skin.If you have a deficiency of silica, you will suffer with weakened elastin which is what helps your face to have the firmness it needs to avoid looking saggy or old. An added bonus is that cucumbers are a great source of B vitamins which means that will help to energize you instantly! Make them a part of your next healthy meal. Tomatoes contain a treasure chest of benefits for your skin! They are an excellent way to hydrate yourself as they have high water content. Hydrated skin is important because dry skin is more prone to wrinkling which causes you to appear older than you are. Tomatoes are an excellent source of vitamin C and beta-carotene which means that eating tomatoes can help to protect your skin from the sun naturally. Manganese, potassium, flavonoids, and vitamin E, which are also found in tomatoes, have wonderful anti-aging properties. Last, but not least, a study done at a German university discovered a link between the consumption of lycopene and smoother skin. There are many seeds that you can choose to add to your next salad that are not only delicious, but also beneficial for your skin. Some of the seeds we recommend are pumpkin seeds, flax seeds, and sunflower seeds. Seeds are an important source of zinc, which is crucial for acne-free skin, and they contain vitamin E which helps to maintain your skin’s youth. Seeds are also great for helping to boost your protein intake which is important in building new skin cells. Are you craving a salad now? We sure hope so! Salads are not just delicious, they have so many health benefits for our bodies and our skin that we don’t understand why people don’t eat salads for every meal! Eating healthy meals is a great way to feel great and look great. 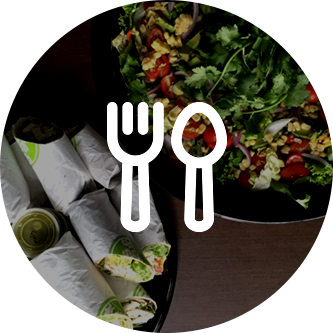 Visit Greenspot Salad Company at one of our San Diego locations and let us prepare your next healthy meal for you.